From the popular main road of Comer city avenue, there was a small alley that deviates from the main road. In this alley, there was a blacksmith shop that is in doubt whether it actually had business running or not. However this blacksmith shop was famous for different reason among adventurers because of the owner. The owner of this shop is Wood Korori. His arm strength and blacksmithing skills doesn’t have any problem. Only his special skill had a problem. The name of the skill was 【bad luck】. This skill will increase the probability of a skill being enchanted into the equipment however there was a chance that the skill wasn’t adhere at all to the equipment usage. Other than that, this was the best place to have your equipment since the level of blacksmith was high and there was no possibility that only ordinary skill will be enchanted. Nevertheless, the Wood’s shop was still unpopular. Since adventurer’s occupation is always closely engaged with danger so it is more reasonable for people to just get a usual equipment with good enough grade than wasting money. Certainly because of that, the weapons and armor that Wood made was rejected by many. Wood was in the back of the shop and resounding sound of metal being hit with a hammer can be heard. However there was uneven sound and rhythm can be heard from today’s crafting. Looking at the long sword that Wood has been tempering, the blade was distorted here and there and the thickness was not uniformed. Involuntarily Wood head ached. Recently, Wood wasn’t able to create weapons and armor. There has been something that was disturbing his rhythm. Of course he knew well the reason of it. It was the tenth day since Yu disappeared from Comer city. Wood also learned about this fact from one of the few adventurer that used to shop here. When he was concerned about it, he visited Yu’s mansion. There are only Lena silently attending to Nina that was stuck inside Yu’s bed and when he saw her, her face was pale. He also learned that Marifa had been diving every day alone to the dungeon. Hearing that, Wood was trying his best to suppress his anger and hot blood. Wood looked at the failure product in his hand and sighed as he threw the long sword into a barrel for failure products. However at that time. that voice that was calling out for him is familiar. The voice that came from the front of the shop entered Wood’s ear without problem even if he is in the workshop. Wood was heading towards that voice in a hurry. He even hit his shin to the floor because he was doing it hastily. Wood recovered as fast as possible and trot to the front of the store while holding his aching shin. There, he couldn’t believe what he saw. In front of him is a square of ‘space’ 2 meters vertically and horizontally as if it was a fitted room made of glass. Wood stood there stunned and gingerly look into Yu who is standing there. However once again Wood held back his words as he looked at Yu. He felt as if he was going to coughed out blood. He was at a loss for words while looking at Yu. There were countless wounds all over Yu’s body. It even made him worried if he was able to stand. Under his eyes, there were terrible dark circles that were formed from sleep deprived. It even almost reached his cheeks. The sword that Wood crafted for him was made of Damascus steel which boasts its strong material was now has been thoroughly damaged as if it has been used for many years. Wood even felt nausea because of the miasma that was leaking from Yu. Wood knew that from the wound on his body. It was clearly the wound of 「parasite maggots」. It was a monster that reside in 「Enrio of Kusakai」 dungeon. This monster can be found starting from the 46th layer of the dungeon. Parasite maggots has a habit of planting their eggs on the victim body through the wound. In only a few minutes, the egg will hatch and will start to eat the host body from the inside until it’s completely consumed before it comes out. Wood’s chest felt painful seeing Yu’s state that was exhausted mentally and physically as he looked at him with empty eyes. Yu passed an item bag that he was holding towards Woods. on Yu’s rear, Woods had a glimpses of monster that was living in the 「Enrio of Kusakai」 dungeon. 「Carrion ants」, 「Decayed Chimera」,「Dullahan」, 「Parasite maggots」,「Corrosive caterpillar」, 「Mad Ghost」, all of these were monsters that are impossible to be challenged alone if that person didn’t have high combat power. After Yu handed over the item bag to Woods, he was moving towards the herd of monsters. As he walked away, the crack in the space was also closed at the same time. “Wait! Just wait! When will the next time you come? It will be good if you tell me before hand! Do you hear me?” Wood was saying that as he was using all of his strength to makes the space crack to held out a little bit longer as he said his words. Even after the space crack was closed, Wood didn’t move from his place as he stared into blank space. Only after some time he regained his senses and looked at the item bag on his hand. He go to the front of his shop and put the sign into ‘closed’. One by one, he took out the material from the item bag onto a large work desk. Woods even couldn’t held back his growl. The items that Yu brought back were expensive and rare material that couldn’t be found easily in the market such as「Carrion ants」 carapace and 「Decayed Chimera」 mane which was freshly gathered from the giant monsters. Further more there were magic tools. 「Rainy season Ring」, 「Holy earrings」, 「Darkness anklets」, 「Ring of devil, Saen」, 「Causative ring」, 「Darkness necklace」 , all of these item can be auctioned and their starting value will be 1,000 gold coins. It wasn’t even strange if each of the item was sold for 5,000 gold coins each since it was a rare magic tool. However for Yu, he pushed it away as if it was a freebie. Wood was yelling as he hits his own cheeks with both hands. He took the 「Carrion ants」 carapace in one hand and mithril hammer in the other. As he started to work, there was a clear sound that was different from earlier. That day, Wood shop was closed for the remaining of the day, however majority of the adventurer didn’t really cared about the small shop. Regardless of closing for the day, from the shop workshop, the sound of the hammer continuously resounded. ← Earth’s Core B5 C8! Results of the synopsis competition would be published over the weekend! i often see you being the first comments in most lns and wns i follow. 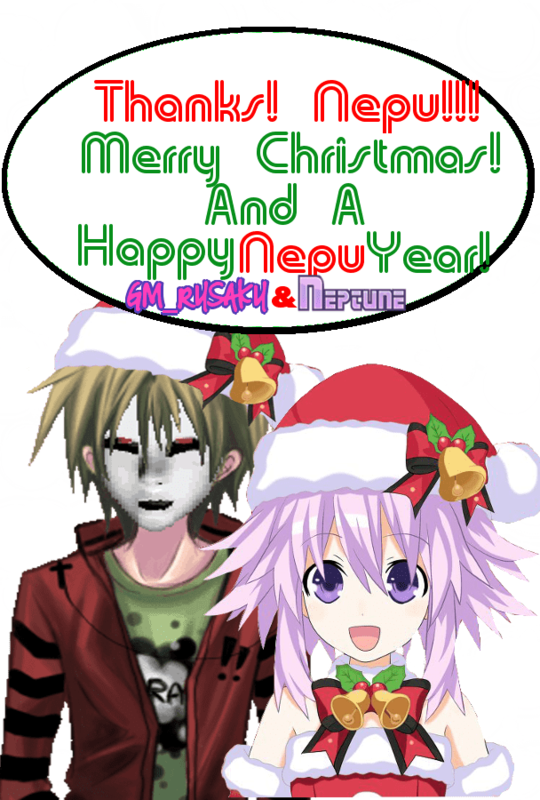 your nepu -mous is very nepu-mazing. somehow. Still not fully taken this body so I’m (the mask) is pixelated. And I’m besides Goddess Neptune to watch her do proper greetings as Histoire instructed. Do try the Re;Birth 1,2, and 3 as they are remakes of the ps3 ver. The one at the back has been creeping me since the start, now make him a slave like he used to be! Be gone! Person who is still infected by FS-san’s Pink Curse skill! Do not be disappointed my child, Goddess Neptune has seen your devotion and welcomes you with open arms. snow, it meant his cheeks , not her cheeks. It would be longer then War and Piece is why. Yu op! He can sell stuff while on dungeon! yu isn’t dying. my guess is he is getting affected by a bad effect of some skill or he steal some double edged skill accidentally that probably causes some harms to either his mental or body. Or he just hasn’t stopped fighting for 8-9 days straight. Thank you thank you, the plot build up is amazing. like i thought he grinding his lvl and grind unique and rare skill from upper layer monster, and maybe hell monster too!! hope he can go back to his companion, and masacre all people who targeting him! While a nice image, and certainly somehting he ‘would’ do… ‘could’ he even have that appearance? Just saying- he took that dragon peron’s regen ability. His stuff could be in tatters, but could he get wounds and still have them by the time he got to the smiths?